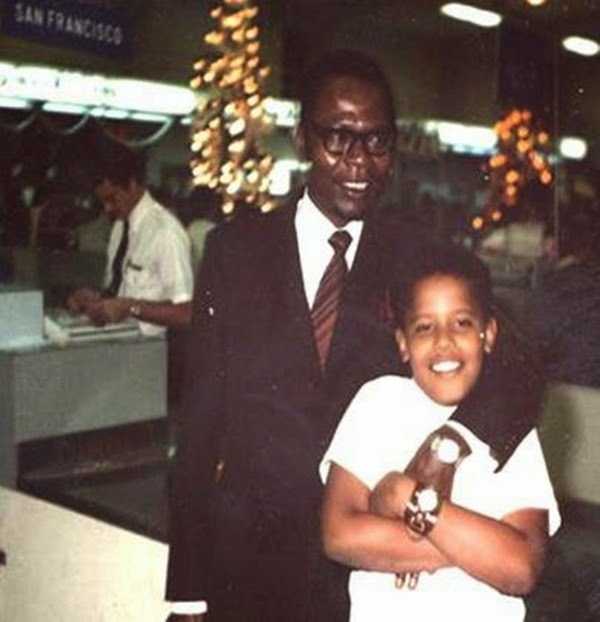 #FlashbackFriday - Obama As A Boy With His Grandfather! 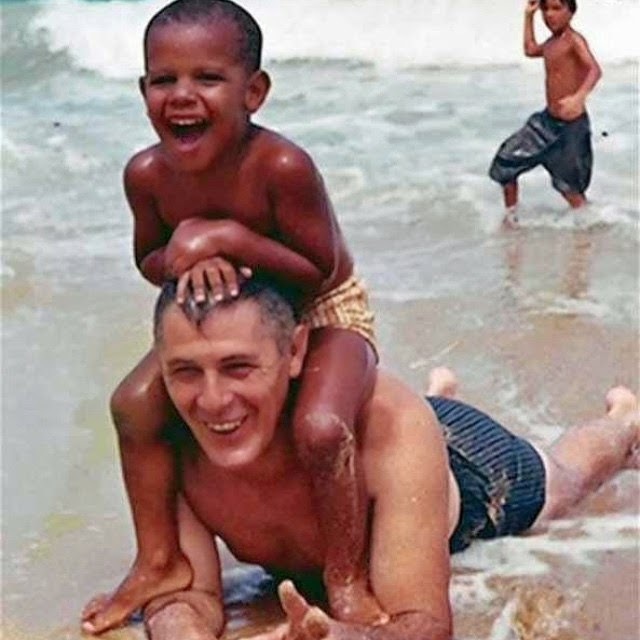 Yes, that is Barack Obama playing in the surf with his grandpa, his mother's father. 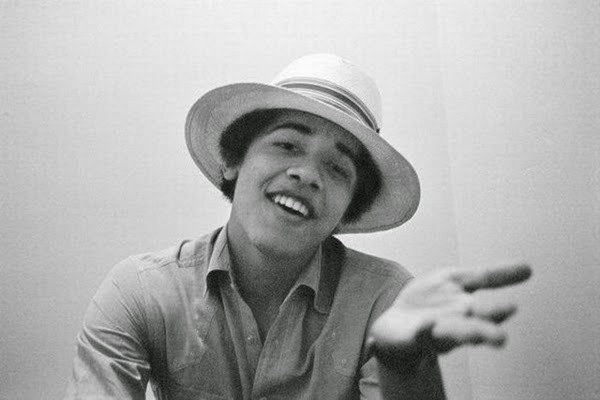 Who would've thunk it? 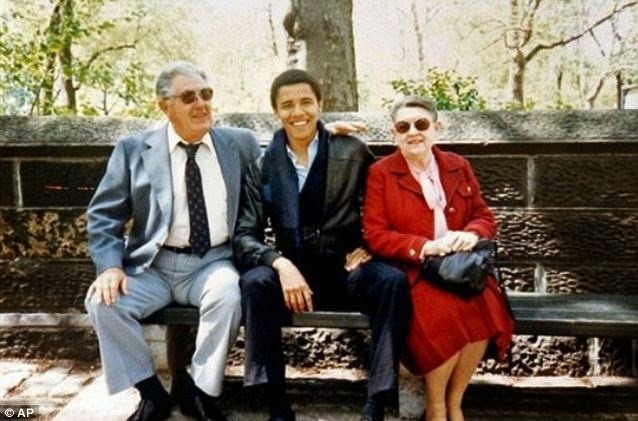 That that little boy with his grandpa in the backwoods of Hawaii would become the 44th president of the United States? 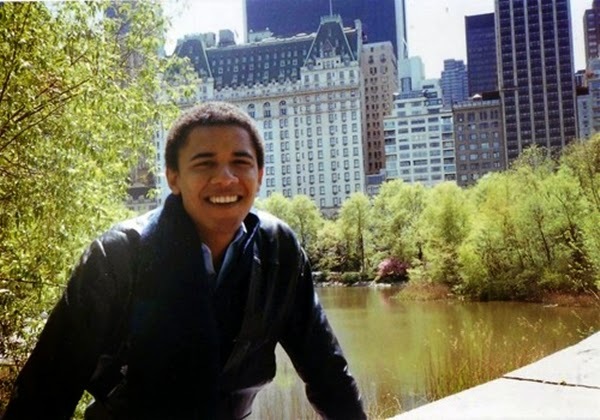 With a father from Kenya and a mother from Kansas, President Barack Obama was born in Hawaii on August 4, 1961. 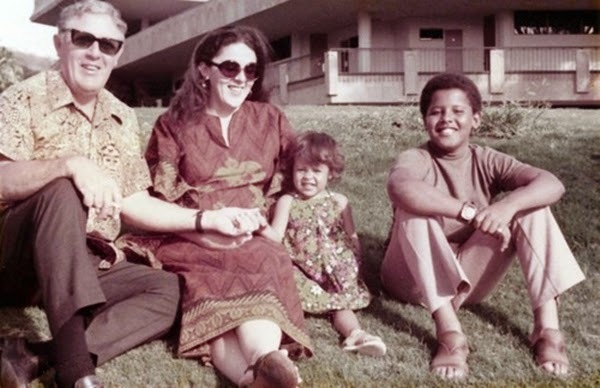 Now, the president and his wife, Michelle, are the proud parents of two daughters, Malia, 16, and Sasha, 13. 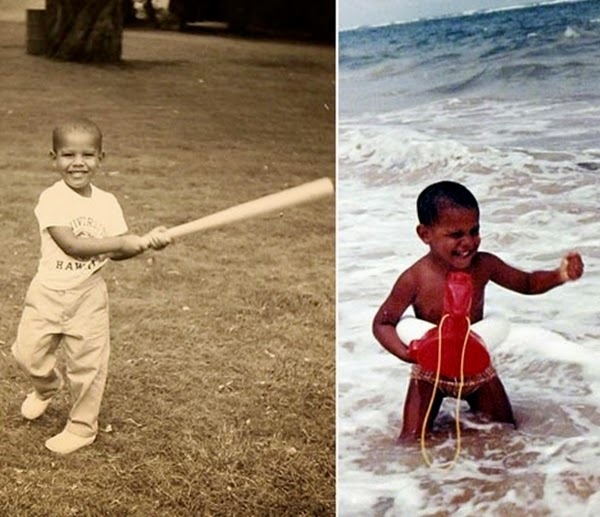 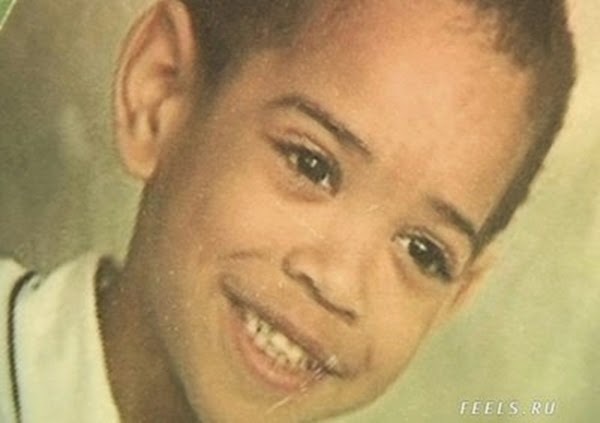 See more pics below from the Barack Obama Chilhood Photos collection.